I'm not really a burger connoisseur. 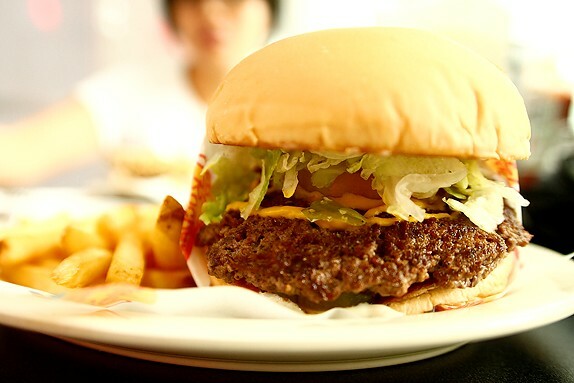 I would categorize myself more of a burger enthusiast than an expert.� Every so often, I would try out new burger joints with my wife just to satisfy my cravings for burgers along with my mission to find the best burger in Metro Manila. 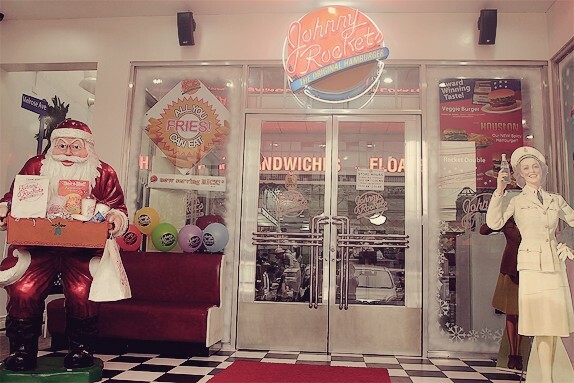 This time around, we visited Johnny Rockets in Tomas Morato Ave.
Johnny Rockets offers not just burgers and shakes but also the dining experience typical of American-style diners. Both the exterior and interior are quintessentially American. 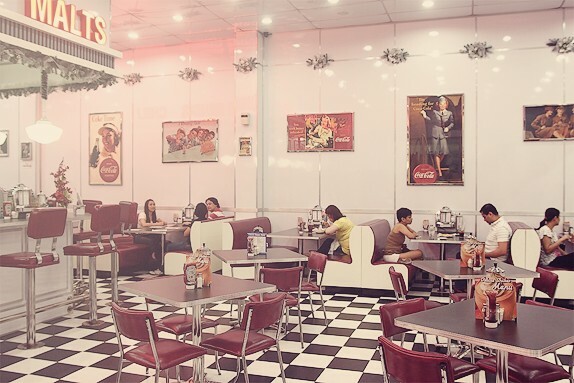 The fixtures, the decor, the tiled floor all memorialize the era of feel good Americana with some Coca cola memento of various kind. 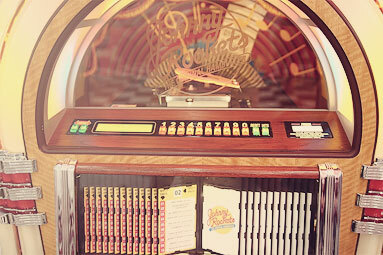 The jukebox near the entrance is a classic. 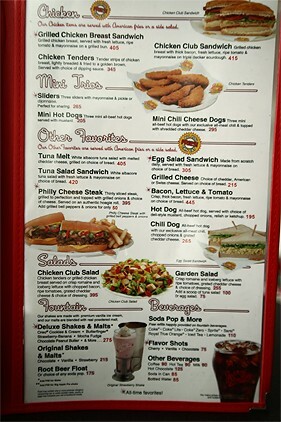 Ironically, diners in the homeland of the US of A essentially offer cheap meals but it ain't here. 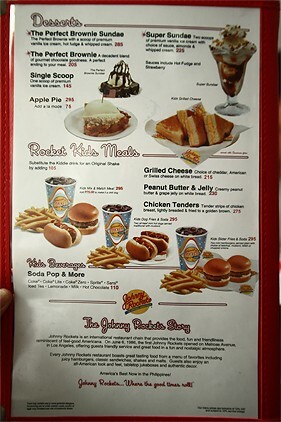 The price of Johnny Rockets basic burger is very expensive which cost my poor wallet around PhP280. 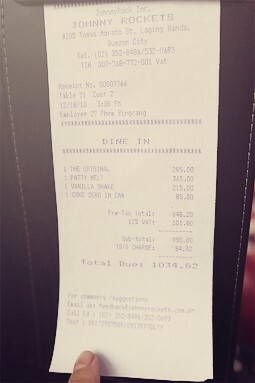 Converting that to dollar, that would be about $6.50 for a piece of artery clogger. 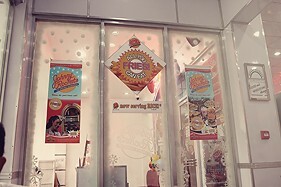 This is already considered luxury food here in the Philippines. 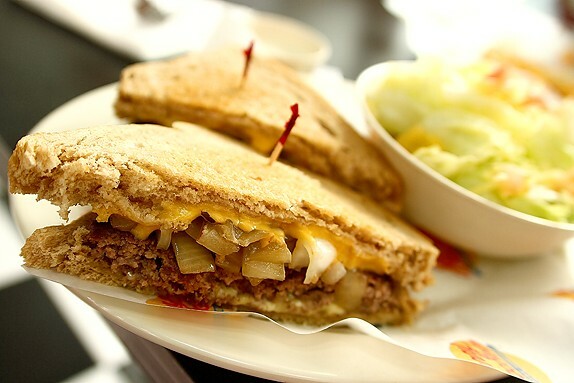 The burger is very juicy but the patty seems to be somewhat bland. The mustard overpowered it's taste. My wife ordered Philly Cheese Steak, again, the patty was very juicy and very tender but the taste wasn't exceptional, though, my wife loved it, but she's a girl. 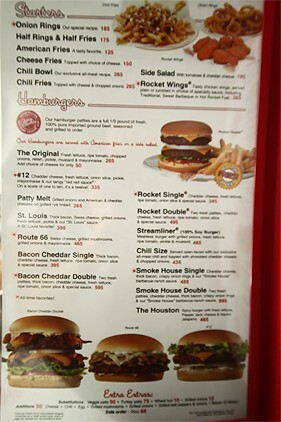 If we were talking strictly about burgers, I would say Hotshots, Good Burger and Big Better Burgers would be a better choice. 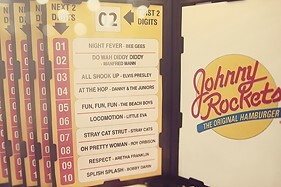 The best part about Johnny Rockets though is the free flowing french fries. Gotta love the tartar sauce that came with it. 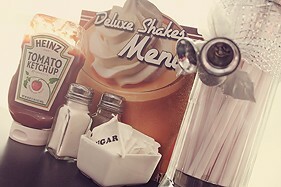 We also ordered their 'white cow', diner lingo for vanilla milkshake. 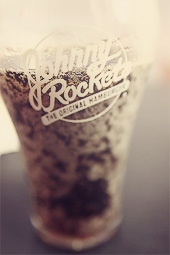 Their milkshake's one of the best so far. 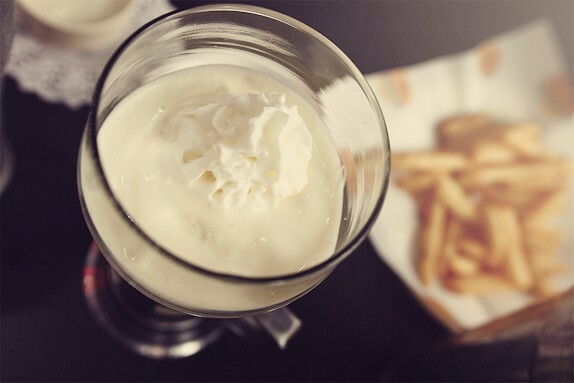 It could even be better than In 'n' Out's. But, it does come with a price tag. About P215 or $5. 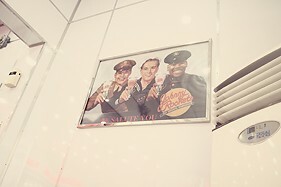 Here are some more photos my wife and I took at Johnny Rockets. Oh. 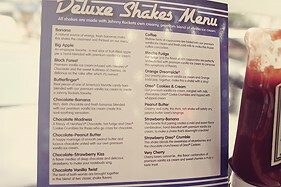 And the menu, in case you guys wanna see it before you visit Johnny Rockets. 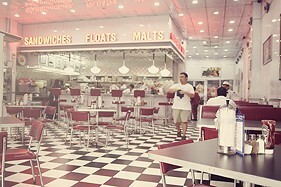 Marcel Just for the Milkshakes, Johnny Rockets wins. But for the burger? Isn't anywhere close. 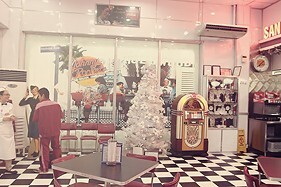 mary anne trono will i visit johnny rockets morato branch again? i think I wont. I was very disappointed with the crew yesterday July 31, 2011 except for our attending waitress, Angel, she was the only one who was very nice.We did not get any smiles from any of the crew including the supervisor (wish i got his name, the bald guy wearing a yellow shirt) and also the lady wearing red polka dots skirt. Yes they were dancing but you'll never see a smile on their faces. 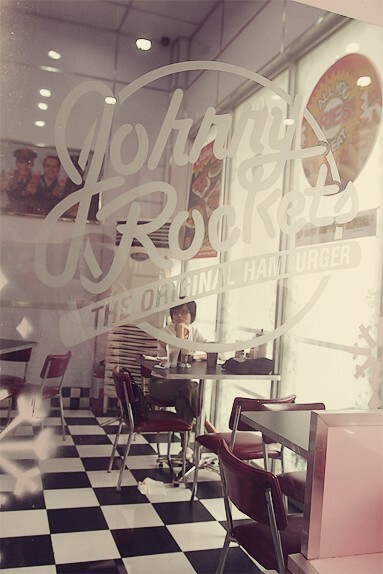 we thought that we will have a good family night out so we chose johnny rockets but it didn't happen the way we wanted it. we were so disappointed. 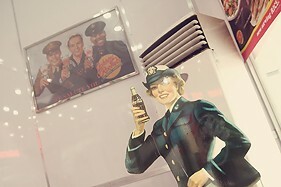 i just hope you could train your crew how to smile it won't cost johnny rockets management a single cent. Marcel Hi Mary Anne. I'm so sorry to hear that. It seems smiles are hard to find in this so-called "Land of Smiles". Or is that Thailand now? 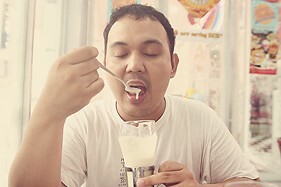 Marcel Yup, those shakes truly are something!!! grace castro do you accept trainees or students who wants to have OJT in your company? looking forward to keep a comment back. :) Thank you! yves do you prefer trainee students? :) ty.